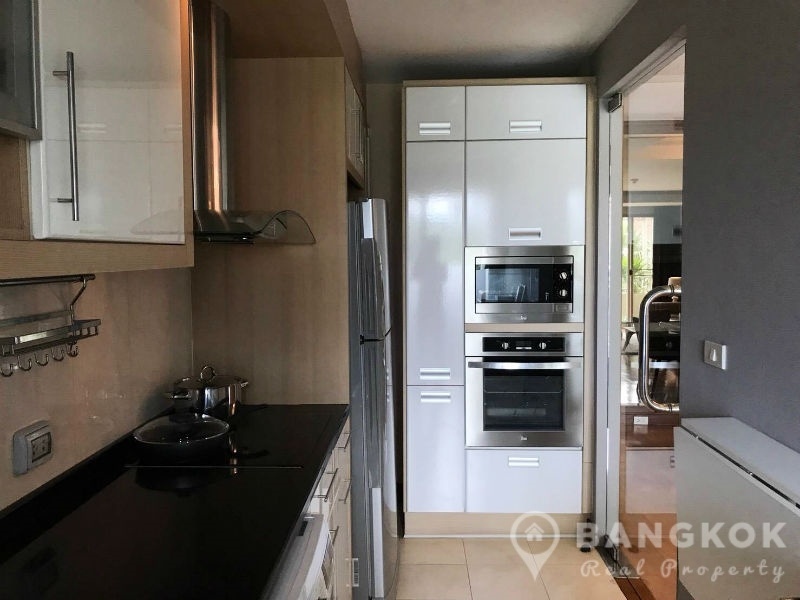 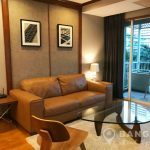 This stunning, spacious and modern 2 bedroom condo is now available to rent at The Bangkok Sukhumvit 43 superbly located in the heart of Phrom Phong and only 7 minutes (550 metres) walk from Phrom Phong BTS Station. 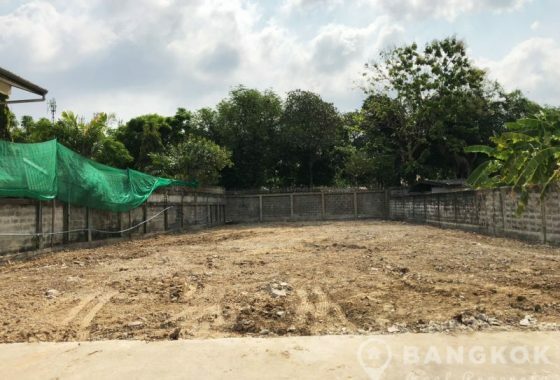 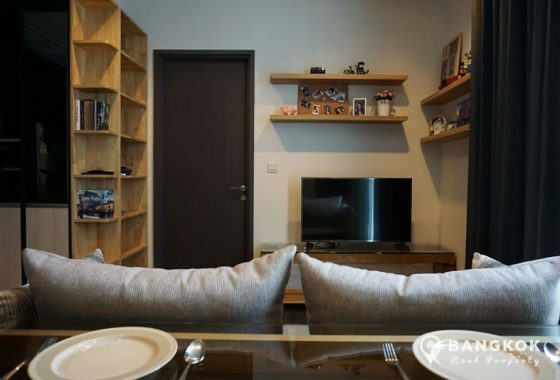 This popular low rise development by Land & House is located on Sukhumvit 43 and offers easy access to The EM District (EmQuartier + The Emporium), Terminal 21, Villa Market, Fuji Super, The American School of Bangkok – City Campus and Benchasiri Park. 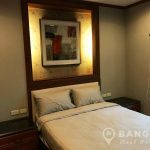 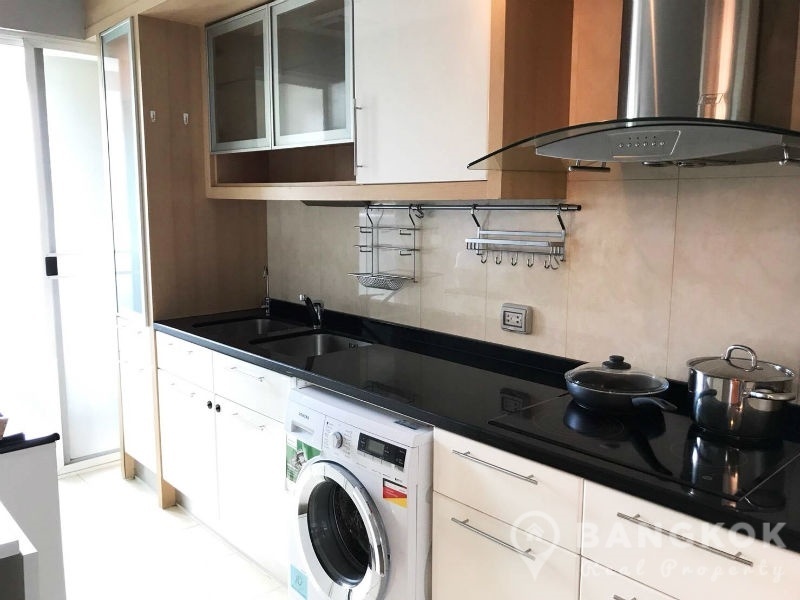 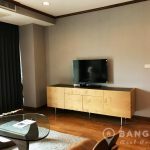 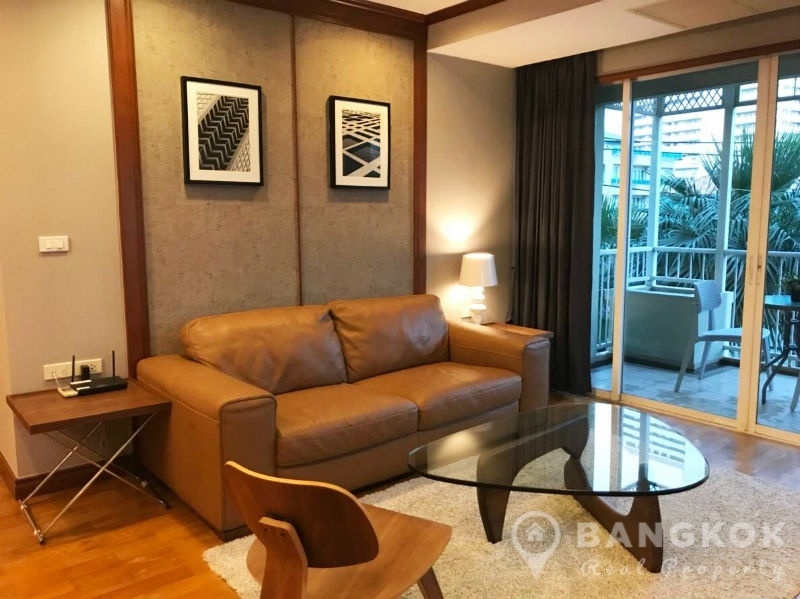 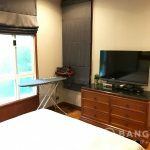 Situated on a low floor of The Bangkok Sukhumvit 43, this spacious unit has 2 double bedrooms, 2 modern bathrooms and 118 sq.m of living space with a large balcony. 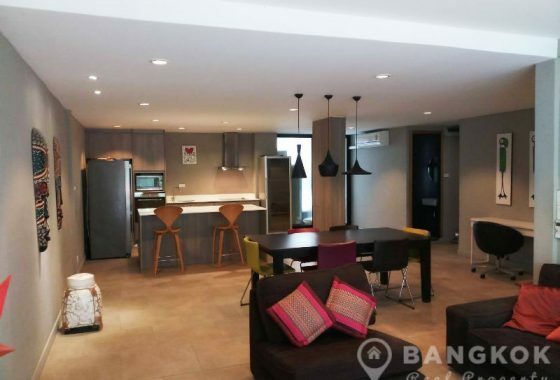 The property is tastefully decorated and fully furnished with wooden floors throughout. 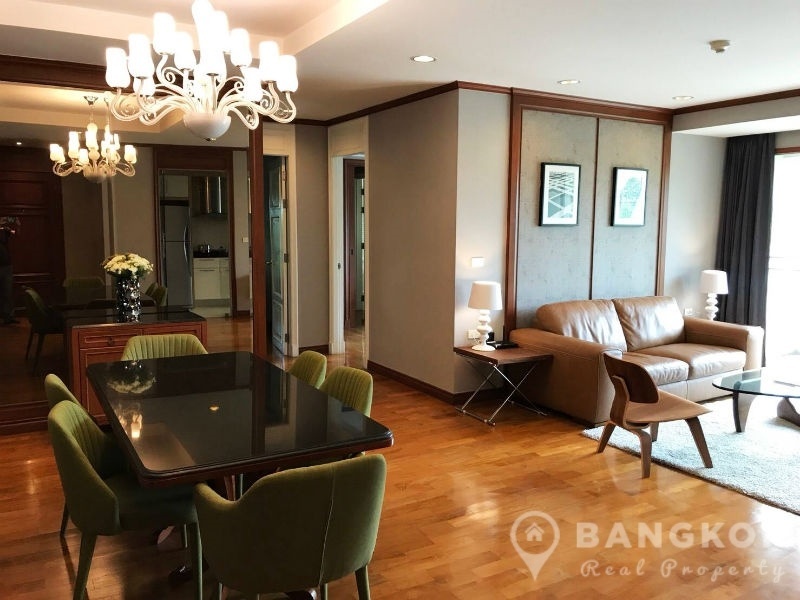 The open plan living-dining room is L-shaped with access to a large balcony, has LCD TV and dining table for 6. 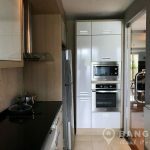 There is a separate Western style galley kitchen with extensive built in units, built in ceramic electric hob & extractor fan, built in stainless steel eye level microwave and electric oven, fridge freezer and washing machine (front loading). 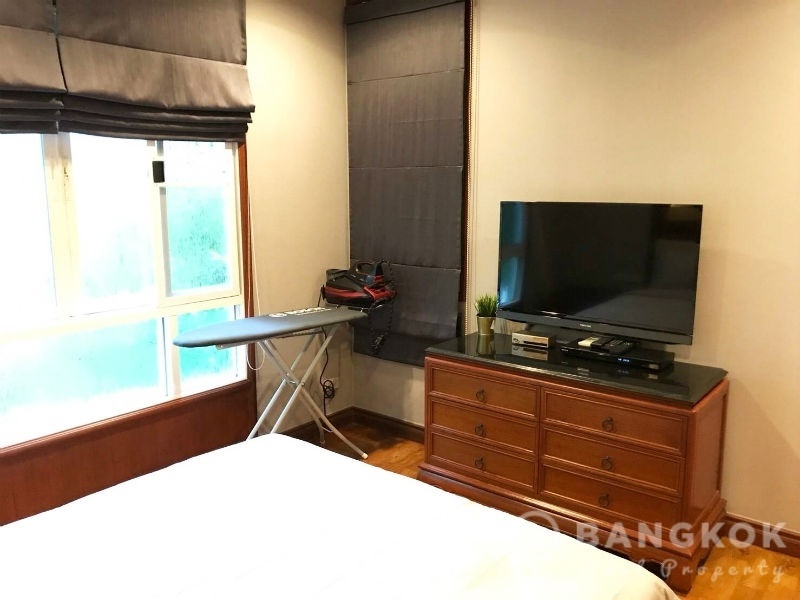 There is access to a utility balcony. 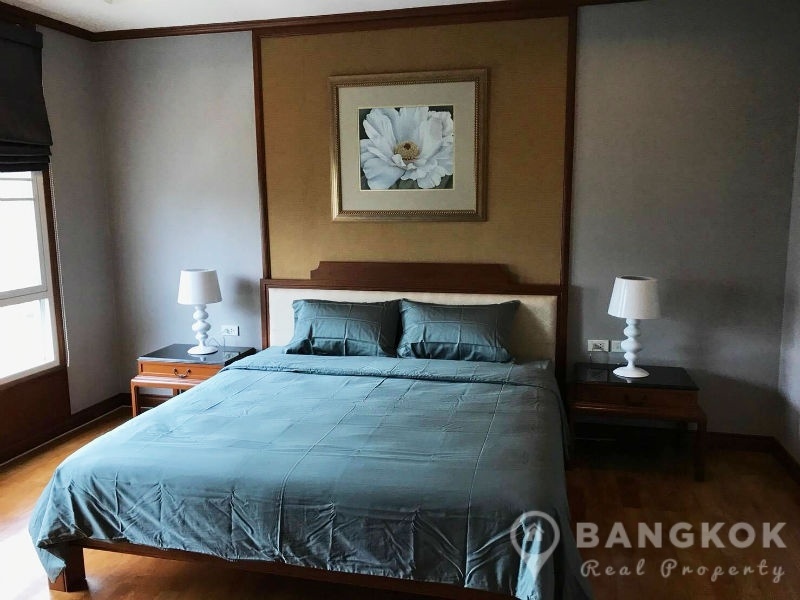 The master bedroom has picture windows, good storage and an ensuite bathroom with bathtub and shower. 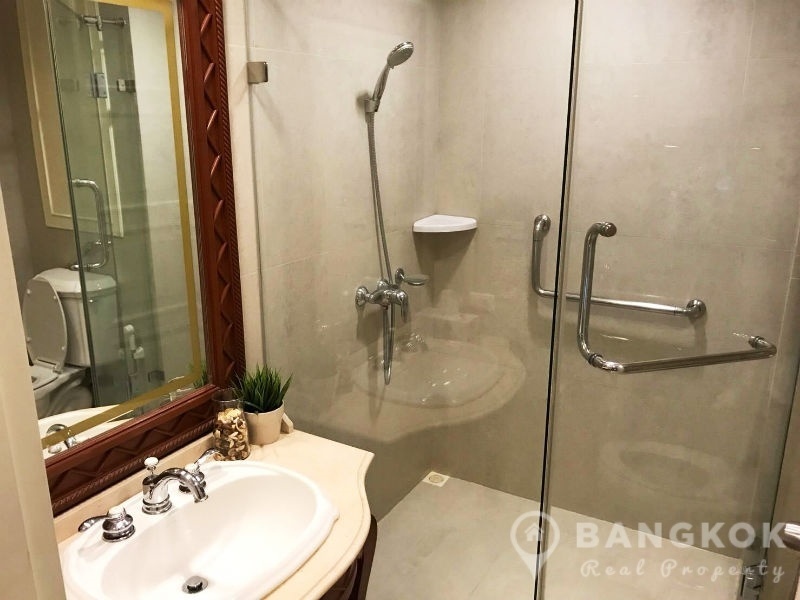 The 2nd bedroom is also a generous double with storage and has use of the main bathroom with power shower. 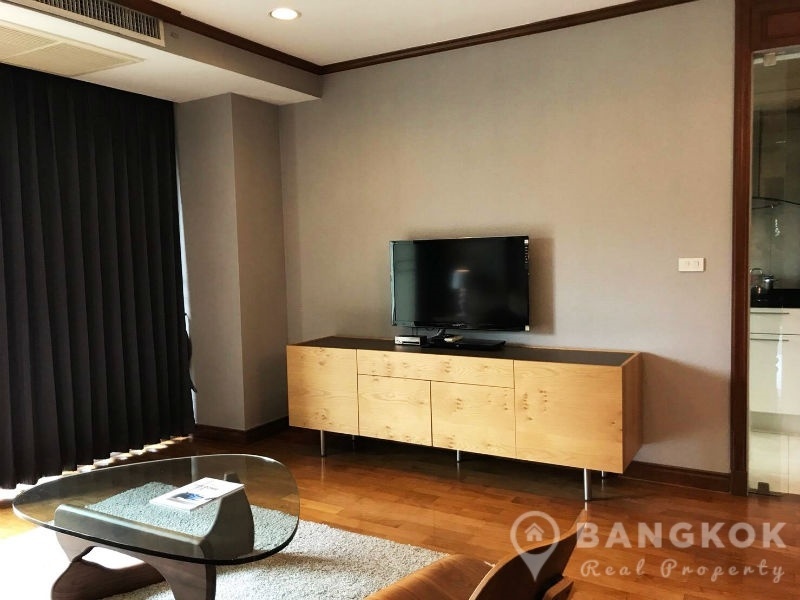 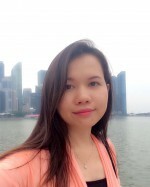 The Bangkok Sukhumvit 43 is a condominium project, located on Sukhumvit 43 in the heart of Phrom Phong and just 7 minutes walk from Phrom Phong BTS. 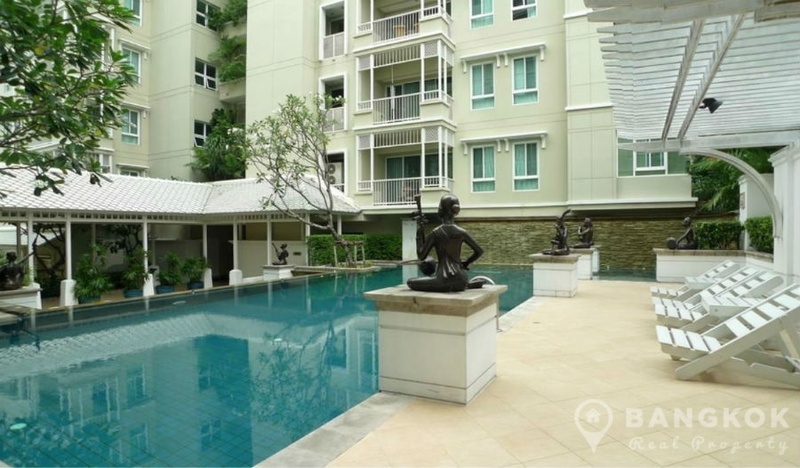 Developed by Land & House, The Bangkok Sukhumvit 43 completed in 2006. 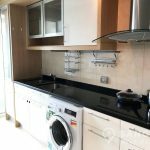 This low rise development consists of 2 buildings , each with 7 floors and a total of only 54 units.